Translated literally, Moo Duk Kwan means “Institute of Martial Virtue” which we understand as a philosophy that seeks morality through a combination of physical and scholarly practice. Our founder, Grand Master Hwang Kee, established the Moo Duk KwanFederation™ in 1945 to reinforce and preserve this traditional approach and to bind all practitioners in a culturally rich organization offering respect, fellowship and the search for an end to conflict. The Grand Master also pioneered the scientific use of the body in methods of self-defense. Kicks, punches, quick strikes and slow breathing techniques are the means to achieve the discipline, courage, confidence and humility that can only come through serious training. At our studio, you won’t just hear our philosophy, you will see it in action. What makes Soo Bahk Do ™ different from other styles? There are many fine styles of martial arts but two of the many things that separate Soo Bahk Do ™ from all other arts and make it unique, are its versatility and philosophy. Because ancient Korea was constantly attacked by both Japan and China, Soo Bahk Do™ became versatile out of necessity, the result being an art which demands mastery of the whole body, not just kicking and punching. 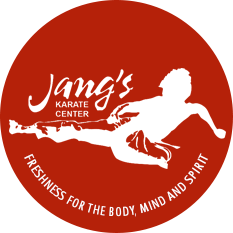 Challenging techniques ranging from quick and spontaneous movements to slow graceful flowing movements gives not only variety but also challenges everyone. Second, many styles teach effective self defense and fighting principles but Soo Bahk Do ™ offers much more than just that. Learning fighting techniques without a strong philosophy and humility simply releases more dangerous people into society. We use Soo Bahk Do ™ to realize our full potential and emphasize “Virtue in action” demonstrating courage, discipline, confidence and humility through our sincere efforts in training and our behavior towards others. You won’t just hear our philosophy you’ll see it in action. For more information about Soo Bahk Do ™ Moo Duk Kwan ™, visit the Soo Bahk Do Moo Duk Kwan Federation ™ Home Page.